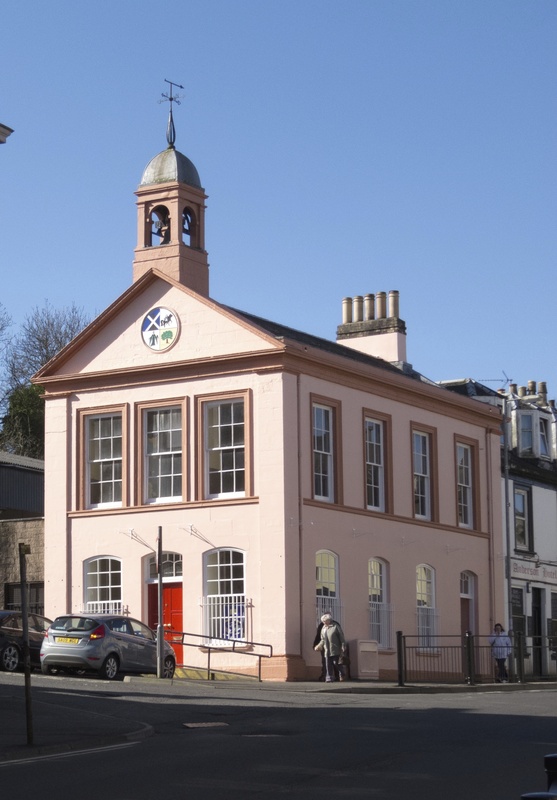 Welcome to the website of Beith Cultural & Heritage Society, (Scottish Charity No. 036758). The Society was founded in 2006 with the aim of preserving memories and artefacts from the town of Beith and nearby villages and hamlets of Gateside, Barrmill, Greenhills, Burnhouse, Hessilhead, Longbar and the Den. Since 2010 we have leased the historic Beith Townhouse from the local authority. Built by public subscription in 1817, the Grade B listed building occupies a prominent position in the town centre. By the early years of the twenty first century the building was deemed surplus to requirements, and continued problems with water penetration were causing the building to deteriorate rapidly. The townhouse as seen today. The project to restore the Townhouse as a heritage and local information centre is still ongoing, with a further approximately £70,000 required before the whole building is renovated. The ground floor has been open to the public since 2011. We hold regular exhibitions on a local theme. 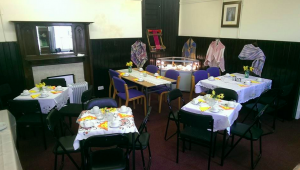 Recent topics have included World War 1, Beith furniture industry and education. In order to meet the running costs we hold regular fundraising events including concerts and coffee mornings. For two weeks every December we hold a Christmas market and craft fair with a wide variety of locally made items for sale. The main room on the ground floor is also available for hire by local groups and organisations. In 2012 a subgroup, Garnock Valley Family History Group was formed for all those interested in family history research. 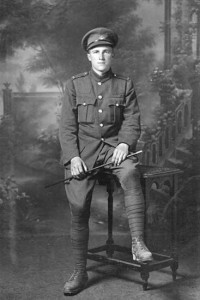 The group has a separate web site (see links) and as well as monthly talks is working on a project researching all the local men and women who served in the two Great Wars. Please come and explore our site and find out more about the project and the history of Beith and surrounding environs. Have a look at our forum where people can share memories or ask questions. Please consider registering and sharing your memories of the area. The Society is run totally by volunteers. We welcome new volunteers and members. You can get in touch using the details on the contact us page. Opening hours may be extended during some exhibitions. Please check local press and this site for details. Currently the larger downstairs room (Eglinton Room) is available for hire for meetings or talks. The maximum permitted occupancy is 30. Please contact us for further details if you interested in using the room. The Eglinton Room is also the venue for regular exhibitions and events.